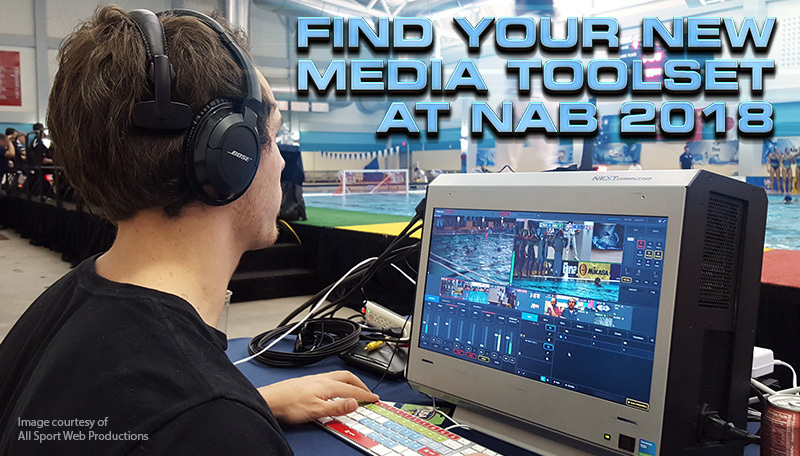 NAB 2018 is the perfect time to check out NextComputing systems in action. Numerous partners have built their innovative solutions with NextComputing hardware. Check out their booths or contact us to schedule a personal demonstration to see how NextComputing can meet your specific needs. Live 360 VR production and post-production workflow solutions for the Samsung 360 Round professional VR camera featuring the Radius Edge, Radius Live, Nucleus 1U, Nucleus 2U, Nucleus 3U. Video editing, visual effects, animation and rendering solutions based on AMD Ryzen processing architecture and AMD Radeon Pro graphics featuring NextComputing’s Radius TR and Edge TR. Live 360 VR production and post-production workflow solutions for the Z CAM S1 professional VR camera; 360 VR stitching, color grading, and visual effects using Assimilate SCRATCH VR with the Edge T100. NextComputing has worked with Production Bot to produce the Production Bot Switch 4 & Switch 8: Portable live production systems powered by vMix. High-performance workstations and custom hardware solutions for post-production, broadcast, and streaming featuring the Edge T100. High-performance Edge T100 workstations for artists, designers, and engineers powering Wacom Cintiq Pro pen displays.